Lock in a great price for InterContinental Marseille - Hotel Dieu – rated 9 by recent guests! The bed was divine, as was the chocolate mousse. We also loved the balcony and view...overall, everything was splendid! Very good location. Very clean place. Really design and the staff was very kind! Beautiful hotel with top notch service in a great location, just a 100 meters from the harbor. Staff are incredibly attentive. Our room wasn't ready when we checked in so we had a drink while waiting. When our room was ready, the staff brought us the key and had already taken our luggage to our room. After check-out I was waiting for the rental car to be dropped off and the staff offered water or coffee. I had a problem with the breakfast service and wasn't charged for breakfast. Our hot water kettle didn't work (which we discovered at 10pm at night) and staff immediately brought over hot water to our room. The beds are amazing and the bathroom is spacious and immaculate. Highly recommend this hotel! beautiful views from terrace bar..rooms very comfortable, bed lovely! Location is excellent with the great view of Notre Dame and the harbor. The hotel was nicely renovated that you wouldn't realize you are in an old building. Sheer elegance & amazing customer service!! The staff is simply the best!! Service was exceptional - they were all very quick to respond to our needs and requests. Jean-Bernard (reception) and Audrey (concierge) were notably good. Breakfast was also particularly good - we loved the scrambled eggs and pastries. From the moment I checked in this hotel was a joy to stay at. This will be my goto hotel in Marseille from now on. InterContinental Marseille - Hotel Dieu is set in a superb 18th century building in the historic quarter of Marseille, 1,150 feet from the Old Port. WiFi access is available. 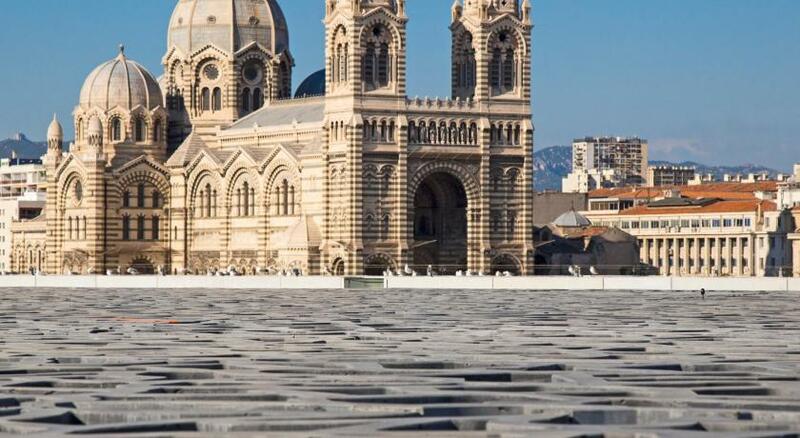 This is an ideal base for exploring the heart of Marseille, with theaters, department stores and museums on your doorstep. 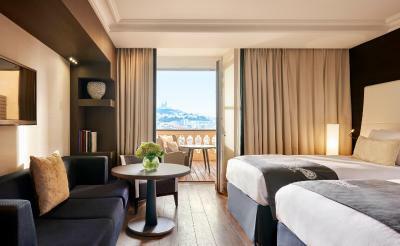 When would you like to stay at InterContinental Marseille - Hotel Dieu? With views of the city or garden, the rooms with private bathrooms are decorated in a modern style and feature a flat-screen TV, a minibar, an electric teakettle and ironing facilities. With views of the port, city or garden, the rooms with attached bathroom are decorated in a modern style and feature a terrace, a flat-screen TV, a mini-bar, an electric kettle, and ironing facilities. 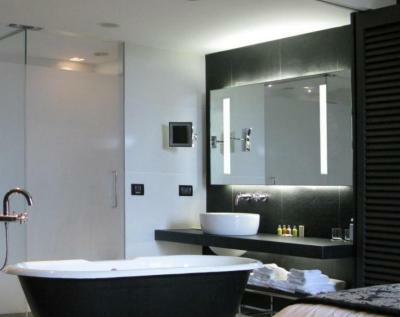 Guests staying in this room enjoy free access to the spa. With views of the port and of Notre Dame de la Garde Basilica, the rooms with private bathrooms are decorated in a modern and Provençal style and feature a flat-screen TV, a minibar, an electric teakettle and ironing facilities. Offering views of the city or the Old Port and Mediterranean decoration, the air-conditioned suite includes a seating area with sofa, a flat-screen TV, and a coffee machine. A mini-bar and an electric kettle are also provided. Some rooms have a living area separate from the bedroom. The bathroom features a bath and shower. Additional facilities include free Wi-Fi and an iPod docking station. With views of Noter-Dame de la Garde Basilica, the suite is decorated in a modern style and features a 20-m2 private terrace, a flat-screen TV, a mini-bar, an electric kettle, and ironing facilities. Offering pearl gray and ivory tones, the air-conditioned suite includes a seating area with sofa, a dressing room and ironing facilities. A flat-screen TV, a coffee machine and a mini-bar are also provided. This family room has a electric kettle, flat-screen TV and mini-bar. This suite has a sea view. Le Panier ("the Basket") is a maze of narrow alleys, ateliers (workshops), and cafes. It gets its name from the ancient Greek marketplace it was built on. 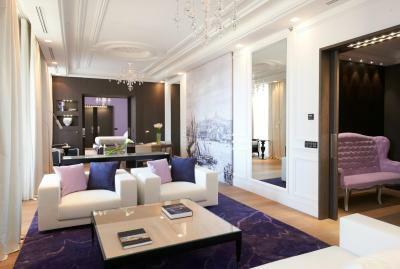 House Rules InterContinental Marseille - Hotel Dieu takes special requests – add in the next step! InterContinental Marseille - Hotel Dieu accepts these cards and reserves the right to temporarily hold an amount prior to arrival. Being asked to pay to use the sauna ! Also in a five star hotel Orange juice at breakfast should be freshly squeezed . Not the greatest cappuccino either . The breakfast room Was very dark and it’s a shame that breakfast couldn’t be outside. Having said that it was Easter and maybe they do in summer . The terrace and the views the staff at reception were very nice . . The hotel location is perfect . A short stroll from the Port. Cheaper rooms are at the back of the hotel. The description says overlooks the city (understand the Panier which is lovely and I would not have minded overlooking the Panier) but what I overlooked was the parking slot and some council estates. Not nice. I did not like the state of the room, although bathroom was spotless and lovely, in the room the wall paper was scratched, used and some of the furniture not in excellent shape. The site and building are exceptional. 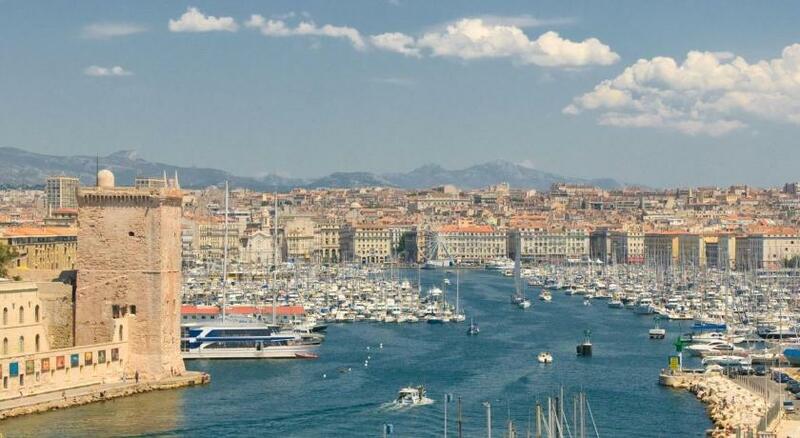 It overlooks the Vieux Port and it is really special. The only thing we didn't love was the shower door, which didn't prevent (some, not a lot of) water from getting on the bathroom floor. Given the investment of attention to detail in the room and hotel, this surprised us, but it was not a big deal. The room was beautiful. The hotel is great - room, service, location, spa, swimming pool!! You cannot adjust room temperature your self, you need to call the reception to increase the temperature, that was a little odd. A hotel of this quality should have this function set by the guests. Disappointing of the response time to deal with a drainage smell in the bathroom not addressed during our short stay. Exceptional hotel, Very friendly helpful staff, overall clean with great cocktail lounge and facilities. Room rates reasonable but very expensive to eat/drink in the hotel Ie 2xcoffee and 2x fresh orange for breakfast €37 !